The Congress Party on Saturday held the Bharatiya Janata Party (BJP)-led government accountable for the fraudster jewellery designer Nirav Modi's escape from the country following disclosure of his scam worth Rs. 11,400. Raising the subject of 'Pakoda' politics yet again at a press conference here, Congress leader Kapil Sibal said, "Our country's custodians are busy advising us to make 'pakodas'. Today the situation is such that the custodian is sleeping and the thief has run away." 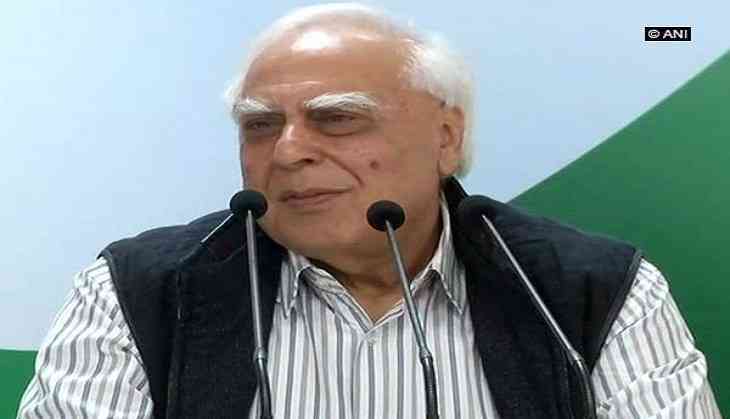 Sibal also cornered Prime Minister Narendra Modi over his policy of 'ease of doing business', "Why is Prime Minister Modi refusing to disclose who all travel with him on official tours? Is this the kind of 'Ease of Doing Business' the Prime Minister talks about?" It is notable that Nirav Modi is speculated to be in Europe since he was booked for the humongous fraud on Punjab National Bank (PNB). The PNB has lodged two financial fraud complaints of Rs. 11400 crore and Rs. 280 crore against Nirav Modi, his family members and his business associate Mehul Choksi. A total of 18 PNB officials have also been arrested for their role in facilitating the fraud. Both Congress and the BJP have been holding the other responsible for the fraud, with Surjewala even calling Nirav Modi as 'Chota Modi'.